Tennis Scotland is delighted to announce that professional tennis will return to Glasgow next month. A World Tennis Tour $25k Men and $25k Women’s event will run from Tuesday 19th February through to finals on Sunday 24th February at Scotstoun Leisure Centre. 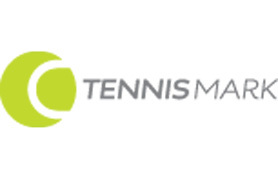 The international calendar of professional tennis has undergone some major changes in 2019 and these events in Glasgow are a level above previous ‘Futures’ tournaments. Already there is great interest from players from throughout the world. Play starts at 10 am midweek and continues through to early evening. On the final weekend, play will start not before 10.30 am however each day’s order of play can be found online at a link which will be provided once draws are carried out. Entry to the spectator’s stand is free and it would be great if many local players and club members could come along to support the players and the event. No Replies to "World Tennis Tour $25k Glasgow"